Author and narrator Bobby Norfolk brings the young heroes and heroines found in these intense fables to life. Norfolk’s voice is explosively energetic, and his tone is quite exaggerated. Each character gets a unique and apt voice, actions are furiously described, and the sly wisdom in these stories is unearthed and shared triumphantly. Norfolk’s highly animated style differs greatly from the norm. The stories are not rendered with quiet knowing, they are drummed out with great enthusiasm. Listeners who find folk parables to be staid will enjoy these tricky stories and Norfolk’s stunning performance. The children who populate these classic stories are heroes and heroines of timeless tales. Their unpredictable antics confound evil and treachery at every turn and leave listeners of generation after generation transfixed and uplifted. A forced marriage. A dangerous job. A horrible assignment. "Character-building experiences," we quip. And that's the truth. Painful as the truth may be, we cannot achieve our potential without facing force, danger, and horror head-on. Even as our children glibly chime, "The truth shall set you free," we adults know that the truth is not easily discerned or wisdom easily won. These six stories remind adults and, through entertaining drama, teach our children that critical lesson. What Bobby Norfolk does with the material makes it so much more than an exercise in wisdom literature. Listening to this collection, one has the sense of being in the presence of a master performer of the oral tradition. 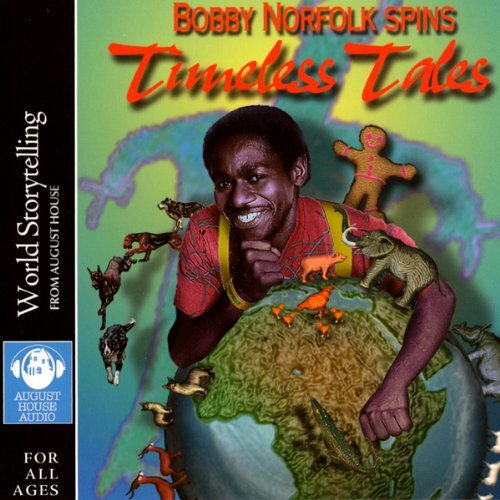 Bobby Norfolk's dynamic pacing, the range of his incredible voice, and his mastery of the story material itself, make this new recording an important and satisfying addition to your storytelling or folklore shelf. ©1999 Bobby Norfolk (P)1999 August House Publishers, Inc.